Rhodes is the biggest island of the Dodecanese, and the 4th biggest island in Greece. Rhodes is an ideal destination for beach holidays and cosmopolitan experiences. Rhodes is connected to Athens with frequent ferries from the port of Piraeus. More ferry connections to the Cyclades Islands (Paros & Naxos). Piraeus is the only port that connects Athens to Rhodes, apart from the airport. The ferry schedules are more frequent during summer and the tickets are usually quite affordable. Rhodes is also directly connected to the islands of Kos, Karpathos and Kastelorizo with several daily ferries. Travelers can combine these itineraries with island-hopping Rhodes is also connected to the rest of Dodecanese and Cyclades, such Patmos, Paros, Naxos, Kasos, Nisyros and Astypalaia with several ferries per day. All these islands offer plenty of options and alternatives for all travelers. Rhodes is well known for the beautiful beaches and its cosmopolitan character too. This island is for the wide choice of tourist activities. 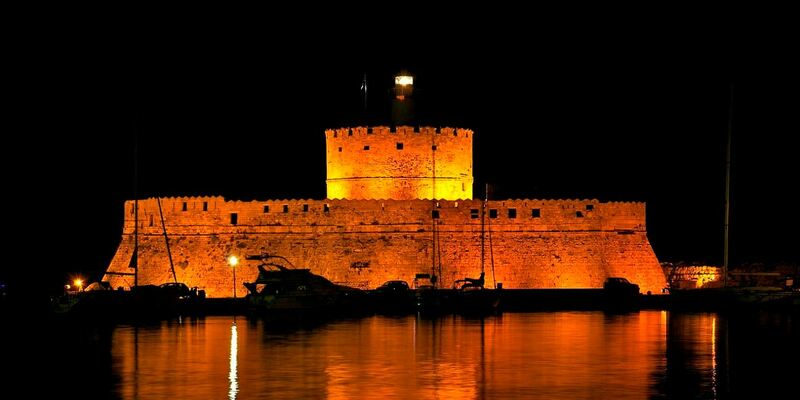 Rhodes is a destination of medieval sense and its known for its medieval monuments. A good experience in Rhodes is to visit the traditional villages, the green forests as well as the valley of butterflies. An island with so many beautiful places, is definitely the perfect destination for summer holidays. Rhodes is an island offering many different activities. A series of routes and paths can offer visitors the opportunity to discover the beauty of this island. Rhodes is also known for its luxurious all inclusive resorts that offer a series of water sports and activities.